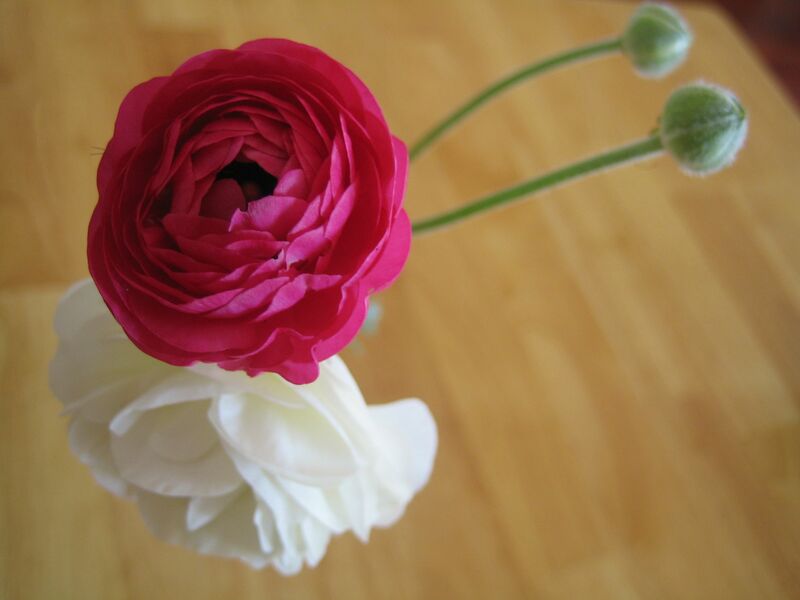 In autumn I planted a whole lot of bulbs: ranunculus, freesias, gladioli…and the other day the first of my ranunculus flowered. I bought all white bulbs, as I’d planned to have all white flowers in pots on the porch for added cooling effect, come summer. As you can, see not all of the bulbs came up white. The same thing happened with the dahlias I planted. 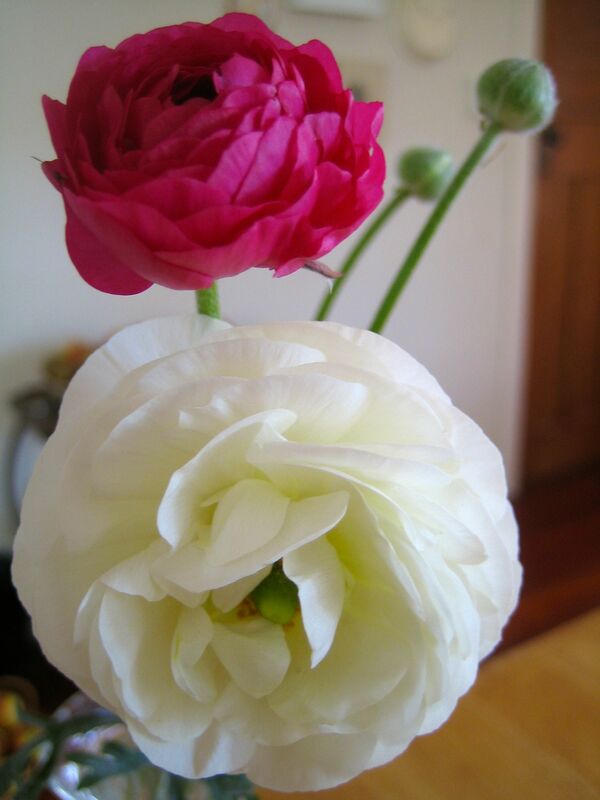 The packet said ‘white’ and they flowered bright red. I don’t really care – in fact it makes me like them even more somehow. I always do like rebels and non-conformists best. Also, why should I get to dictate what ends up in my garden? I share the space with all manner of flora and fauna. White or not, they are very pretty, right?